Jitterbug (f. by Danehill Dancer). 3 wins from 1300m to 1600m, A$79,547, to 2014-15, 2d ATC Schweppes H., TAB Place Multi P., Hyland Race Colours H., 3d BRC River Junction Drought Masters 2YO H., ATC Hyland Race Colours H.
Bleue Pepite (f. by Fastnet Rock). Winner at 950m, 3d STC Grand Pavilion H.
BALLYBLEUE (Peintre Celebre). Winner. See above. Pyrenees Prince. 4 wins at 1400m, AJC Sydney City Lexus H., STC Woolworths H.
Old Blighty. Winner at 1000m, 2d STC Bradcorp H., 3d MVRC Essendon Jeep H., WATC Perth Racing Members H.
Phantom Long Legs. 9 wins to 1450m in Aust. Cardiff Arms. Winner at 1000m in Aust. Bim Bom Bay. 3 wins-1 at 2-at 1200m, 1350m, WATC Westspeed 2YO P., 3d WATC Westspeed 2YO P.
Boulevard Baron. 4 wins to 1300m, A$77,555, AJC Bonnyrigg H., 2d STC Freeway Hotel Super TAB H., Gosford RC Windy Peak Malcolm Cusick H., 3d AJC Randwick Betting Auditorium H., STC Members H.
Sophisticate. 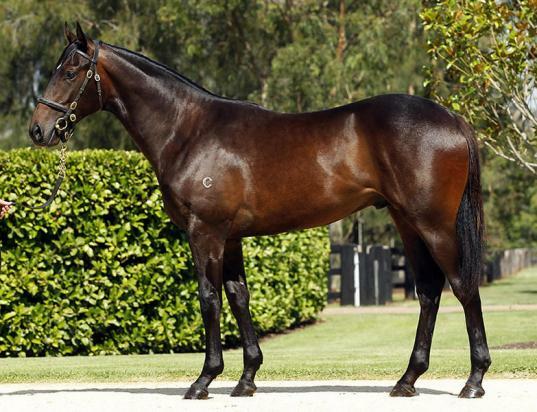 Winner at 2100m, 3d Waikato RC Echoes of Heaven at Linwood Park Stud H.
Memorise - Flaming Star (Sing.). Winner at 1400m, 2d MVRC Veolia Environmental Services H., Singapore TC Class 4 H., 3d VRC Most Regal H., Singapore TC Graduation H., 4th VRC Super Impose S., L.
Kasiano Lad. 4 wins to 1250m, A$146,840, to 2015-16, ATC Congrats at Vinery H., TAB More Than Winning H., 2d ATC Vinery Yearlings H., Ascend Sales Trophies H.
Mr Mafia - King Mossman (H.K.). 4 wins-1 at 2-at 1000m, 1200m, A$8,450, HK$3,042,500, HKJC Hip Wo H., BRC Lyndhurst Stud Brisbane Bloodstock Bonus 2YO P., HKJC Breguet H., Drake H., 2d HKJC Chinese Recreation Challenge Cup, Panasonic Nanocare H., Being Famous H., Indigenous H., 3d HKJC Chevalier Lifts & Escalators H.
Alli's Aria. Winner at 1250m, ATC Rosehill Gardens Event Centre H.
Holy Man. 3 wins at 1200m to 2014-15 in Aust. I Am Grouse. 2 wins at 1000m in 2014-15, Bendigo JC DPR Insurance Brokers H.
Loaded Rocks. 2 wins at 1200m, 3d AJC Strawberry Hill Magic Millions 2YO Prelude, STC Stephen Hood H., Theraces.com.au H.
FLYING SPUR (Danehill). Second on The 1994-95 Australasian 2YO Classification. 6 wins-3 at 2-from 1000m to 1600m, A$2,051,090, STC Golden Slipper S., Gr.1, Australian Guineas, Gr.1, AJC All-Aged S., Gr.1, STC Peter Pan S., Gr.2, VATC Blue Diamond Prelude, Gr.3, Street Cafe 2YO H., 2d VATC Blue Diamond S., Gr.1, Futurity S., Gr.1, STC Hill S., Gr.2, AJC Up and Coming S., Gr.3, VATC Zeditave S., L, Rancher H., L, 3d VRC Sires' Produce S., Gr.1, STC George Ryder S., Gr.1. Champion sire.